Dr. Todd Mabry and Dr. Anna Vaysman are committed to offering you the latest in dental technology to make your diagnosis and dental treatment safer, faster, and more effective. Our practice uses some of the most advanced laser and digital imaging systems that enable us to give you clear and precise views of your teeth and gums, a more comfortable treatment process, and an improved ability to provide you with exemplary results. It’s yet another way for us to help relieve dental anxiety and give you the confidence that our practice can truly help you meet your needs. Laser treatment is one of the most exciting and innovative advances in the field of dentistry to come along in quite some time. Essentially, laser dentistry can reduce and even eliminate the need for surgical instruments and sutures to resolve certain types of dental problems. Using laser energy for procedures such as gum disease treatment, gum recontouring, oral evaluations, cavity detection, and other options, Dr. Mabry and Dr. Vaysman can help to significantly reduce discomfort and allow you to heal much faster. Plus, laser dentistry typically involves much shorter treatment times for procedures that traditionally took much longer to perform. Our practice uses the state-of-the-art Diode Laser and Co2 laser systems to perform minor dental surgery without the need for a surgical blade or stitches along the gumline. The DIAGNOdent diagnostic laser is a way for our dentists to detect very early signs of decay and cavities in your teeth. Many of us have traditionally had cavity detection performed with metal dental instruments, probing and poking along areas of the teeth and often causing discomfort. With DIAGNOdent, the procedure is performed completely painlessly and more accurately, using laser energy to reflect the areas of decay and helping our dentist find signs of it earlier than was possible before. 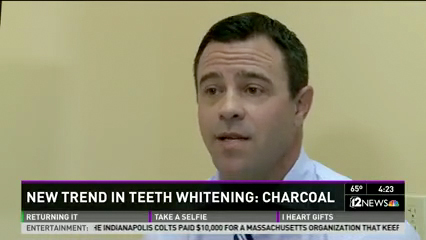 It’s fast, painless, and able to detect decay before it’s even visible on your teeth, which bodes well for early treatment and prevention of more serious problems down the road. AIR-FLOW® Therapy by Hu-Friedy utilizes a technique known as air polishing to remove deposits on the teeth, such as surface stains and plaque. 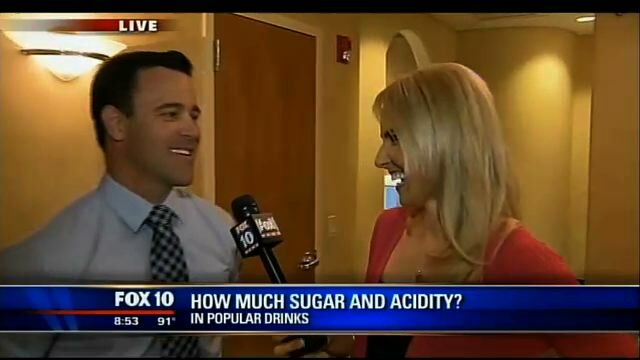 This process involves the use of air and water pressure to deliver fine powders that helps clean the teeth. The AIR-FLOW system provides a more efficient and comfortable air polishing experience with enhanced results. Using a glycine powder mixture, the device effectively cleans and polishes the teeth, even removing plaque and biofilm below the gumline. AIR-FLOW Therapy is often used to prepare for treatments like bonding, sealants, and restorations, and it is also gentle enough to be utilized for cleaning restorations. Diode and CO2 laser technology are powerful and effective tools designed to reshape the gumline and treat soft tissues without invasive surgery. 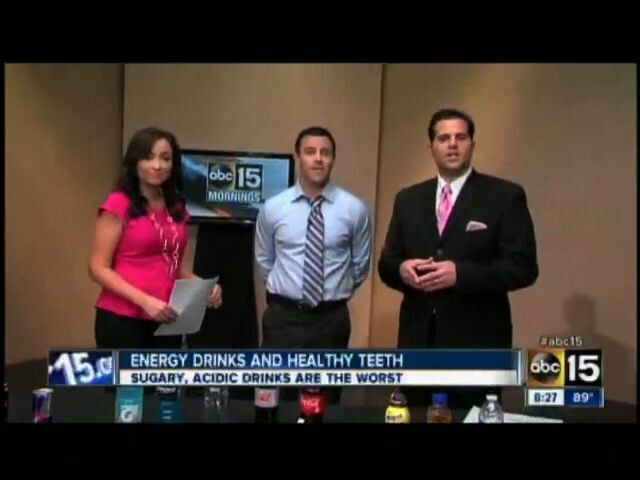 This technology can be used to recontour areas in the gums in mere seconds, without bleeding or pain. Ultimately, these laser techniques can reduce treatment time, improve the potential for great results, and significantly diminish discomfort both during and after the procedure. For a variety of procedures, including porcelain veneers, crowns, dental implants, Invisalign™, and others, you will need to have an impression made of your teeth to ensure the most accurate and precise results. Impressions have traditionally been created by having the patient bite down on a putty-like substance for an extended period of time; however, the iTero is changing that. 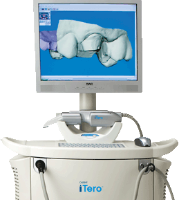 The iTero is a digital impression system which utilizes a computer scanner to create a model and concise map of your teeth. The entire process takes minutes to complete, is completely painless, and reduces your time in the dentist’s chair. 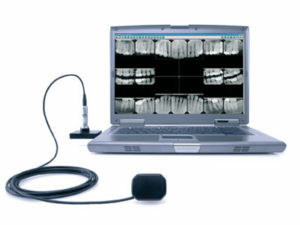 Intraoral cameras make it possible to take very clear images inside your mouth and magnify them several times for viewing on a computer monitor. These very small cameras allow you to see exactly what our doctors and their dental team see, helping you to visualize any problem areas among your teeth and gums. Cavities, cracks in the teeth, receding gums, and many other conditions can typically be clearly seen on the intraoral camera’s high-resolution images. The pictures obtained by intraoral cameras can help you to better comprehend what may be going on with your dental health, allowing you to better communicate with Dr. Mabry and Dr. Vaysman about your needs and make a more educated decision regarding your treatment. These images can also help our dentist with the documentation process for your insurance company, which can ultimately speed up the claims process. Spectra is a non-invasive imaging technology that can help Dr. Mabry or Dr. Vaysman diagnose tooth decay in a more precise way. Using a special fluorescence technology, the Spectra system can pinpoint areas of decay with color and numerical readings, eliminating the guesswork that has often been necessary when trying to find this common dental condition. Ultimately, Spectra helps to find early signs of decay, which can be vital to saving more of your original tooth and preventing serious damage or tooth loss. With CariVu™ by DEXIS, our dentists are able to identify tooth decay (caries) early on, allowing them to plan the best course of treatment before it can get worse. The CariVu system involves a handheld device that transilluminates each tooth, making the tooth appear transparent. This advanced view makes it possible to find small lesions where they may otherwise not be detected. As the device is guided along the teeth, it captures digital images without the use of radiation. These photographs complement other imaging tools, like X-ray technology, creating a more comprehensive view of your tooth structure. 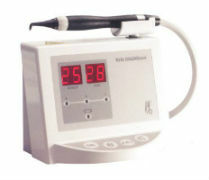 In addition to being a valuable method of detecting decay, the CariVu device provides enhanced accuracy with removing the decay as well. With digital X-ray and 3D imaging, Dr. Mabry and Dr. Vaysman can provide safer, more accurate dental treatment while helping you to obtain a clearer picture of what’s going on with your teeth and gums. Digital X-ray technology reduces your radiation exposure by up to 90% when compared with traditional X-rays – that’s less than the amount of radiation you can get from simple sun exposure. At the same time, digital imaging reduces the overall processing time of your X-rays and cuts the use of chemicals, having a positive impact on the environment. Plus, digital X-rays can be enlarged and color-enhanced, and appear as 3-D images, helping you and our dentists to more easily see the finer details. All of these advantages work to give our dental team a more precise view of any problem areas, and come up with a customized treatment plan for your needs. 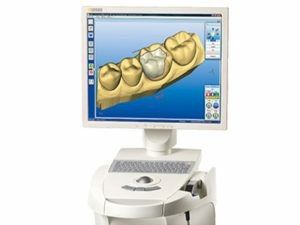 CEREC® is one of the most highly-advanced and efficient dental technologies available for in-house tooth restoration. Utilizing this innovative system, our skilled dentists can design, mill, and place customized tooth restorations – such as dental crowns, inlays, onlays, and more – all during the convenience of a single office visit. Ultimately, CEREC® technology can help you achieve durable, natural-looking results without the hassle of waiting weeks for your restoration to be complete. If you would like more information on the many ways our dental technology can make your visit with us a safer, more precise, and more comfortable experience, please contact us today.